The photogram images are part of the series of installation glass sculpture: He Won't Love Me Because He Knows What I Did which will be presented at Royal College of Art Final Show 2013. The work is inspired by gender trauma, based on sexually charged images of under-aged girls that are on sale at the Japanese media market. The girls in the images are almost like objects, the vessels of the fantasies of male viewers and devalued through the media market and mass production. For this project, I am trying to build a number of glass sculptures of puppet-like girls, whereby a cast-shadow represents the existence of the subjects. The actual final object will be the clear hollow glass girls. My aim is to create a pile of empty bodies of girls as if they were the rubbish to illustrate the media-affected girl’s invisible existence. The hollow glass represents the containers of their souls which have been devalued and ignored, leaving empty bodies. Which I believe that this colour-less and transparent object could become anyone who have been devalued and ignored with their own identity. 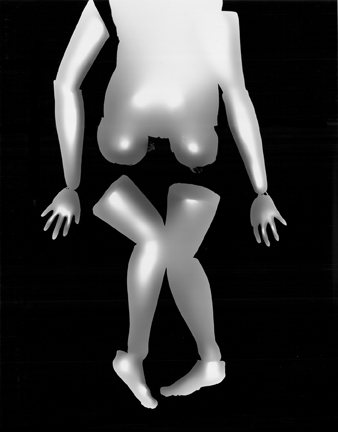 This Photogram are made by the plaster model for the glass sculpture which artist hand made. 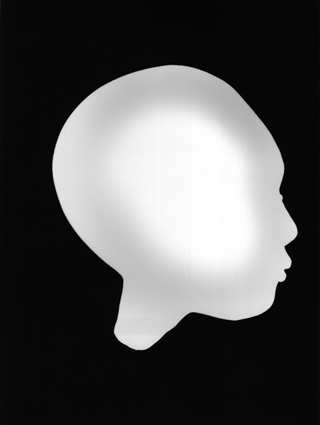 Within this photogram images, the cast shadow creates white empty space. It represent the emptiness of one's identity and soul.